Not a big corporation, but a nimble, independent business that has made substantial investments to serve industry. Remanufacturer and GBXchange exchange inventory of gearboxes, its ancillary equipment, mainshafts, and bearing. 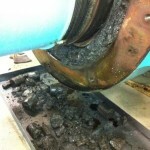 No matter what type of turbine model, mainshaft bearings are common failure points. 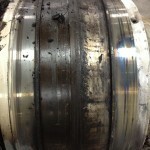 The main reason: spherical roller bearings are not the optimal bearing configuration. 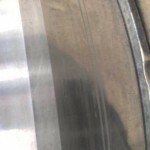 Large amount of radial internal clearance (RIC) are needed to facilitate original bearing assembly at the manufacturer. 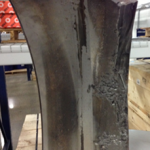 Although this simplifies the assembly at the turbine OEM, this clearance is not well suited for handling axial loads. 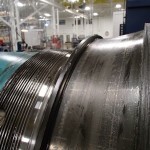 The proper bearing configuration would be a pre-loaded tapered roller bearing, but this would have increased both turbine assembly time, as well as purchased cost. As a result of this configuration, the thrust from the wind causes the mainshaft to move axially towards the gearbox until the clearance has been absorbed, hence unseating the upwind row while the downwind row now sees the majority of the load. 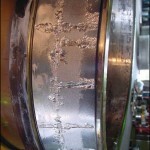 The primary failure mode of the mainshaft bearing is macropitting (spalling) of the downwind race. The unloaded upwind row will then skid and skew as result of having no roller tractions, creating a second failure mode of micropitting. RIC optimized across the upwind / downwind rows to improve load share. Two-piece brass cage allows the roller rows to rotate independently. 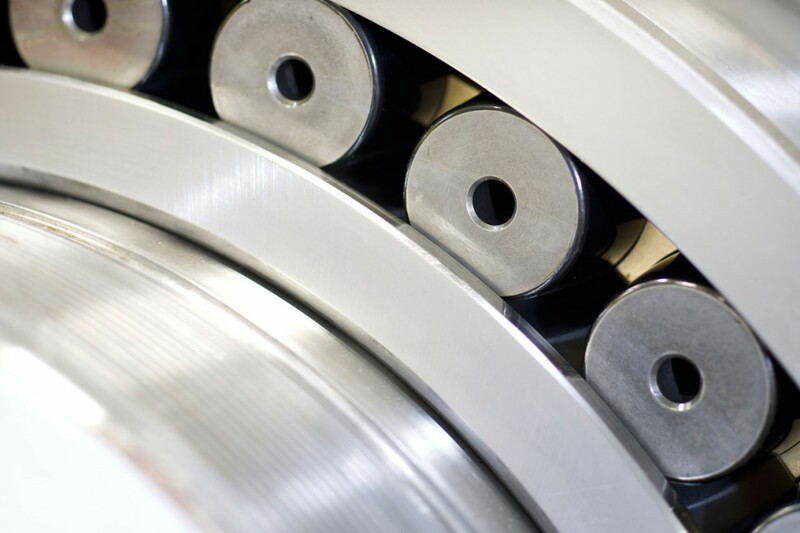 Diamond-like coated (DLC) rollers creates a very low coefficient of friction. Greatly reduced roller skidding tendency. Significantly improved performance in marginal lubrication environments caused by insufficient grease distribution. 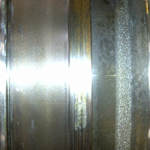 In addition, adequate grease packing is also critical to the performance of the mainshaft bearing. 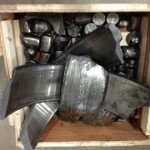 The GBX remanufacturing specifications calls for 100% fill of bearing cavities. This is performed with a pneumatic wand, filling in all voids between the cage and rollers with a final fill of the bearing face to a clean, smooth finish. Finally, all v ring, o ring, and chord stock seals are replaced new.